You may be surprised to learn that there is a new tool for your golf arsenal, an electronic gadget that truly lives up to the claim that it can actually improve your golf game. There are now special GPS units on the market that are specifically designed to for use on the golf course. What is a golf GPS? 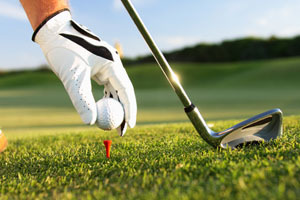 Using the same process of communicating with satellites as your car GPS, the key piece of information provided by all golf GPS units is your distance and direction to the hole. Having this information can help you make strategic choices regarding club type, direction and necessary amount of power for your shot. 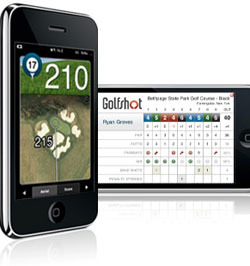 In addition, a golf GPS can help you in situations when you are playing on a course for the first time. In this way the golf GPS can help level the playing fields and take away the advantage from players who are already familiar with the course. Advanced golf GPS units can also calculate the distance traveled during your last shot, alert you to the presence of water hazards and bunkers and direct you to target locations. You can zoom in on your current position and analyze your current position in relation to targets or other parts of the course. The GPS stores all of this information so that you can refer to it in the future. Some units include a course recognition feature which automatically recognizes the course you are playing on. Higher-end golf GPS models will log information about all of your shots in a round, allowing golfers to view and analyze their performance. Others have a scorecard feature that tracks your score and then summarizes the information for your review. To use a golf GPS, you must have a relatively unobstructed view of the sky so that the GPS can quickly communicate with satellites. After that, it’s very straightforward. Unlike with laser rangefinders, there is no need to point a GPS at a target in order to get a yardage assessment. Even if the target is outside of your field of vision, the GPS will still be able to provide a reading. A steady hand and a sharp eye is not needed in order to reap the benefits of a golf GPS. We’ve assembled top-rated golf GPS models (below), which include quality 4-star offerings from Garmin (including the popular GolfLogix and upper-end Approach models), along with models from Golf Buddy, SkyCaddie, Bushnell and others. If you already own an iPhone or iPod touch, you’re already carrying a GPS with you, so you might consider purchasing an iPhone app. The top-rated Golfshot Golf GPS receives solid 4-star marks and claims to provide access to more than 27,000 golf courses with no monthly or annual fee. Another factor to consider is the fact that when you’re out on the green, you want to spend less time reading and more time playing. Using a golf GPS unit means you won’t have to keep referring to a yardage book, which can slow you down. Keeping score also becomes much easier without a tiny pencil to lose. As a result, a golf GPS can reduce the time it takes you to play a round. Finally, perhaps the most obvious benefit–the analysis performed by a GPS can help you reduce your number of strokes and improve your score.